To welcome 70-year ceremony of Viet Nam's War Invalids and Martyrs Day, on the last July 19th, Dr. Nguyen Xuan Thanh - General Manager of Eastern medical equipment Co, Ltd has paid a visit, given gifts and promised to take care of two Vietnamese heroic mothers. 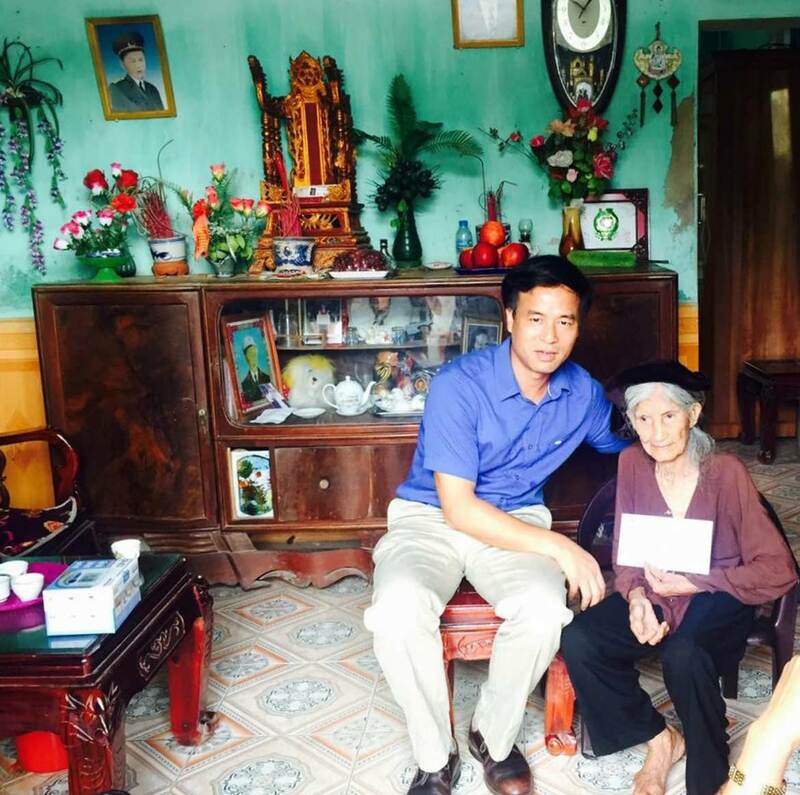 In the image is Dr. Nguyen Xuan Thanh visiting and giving gifts to Tong Thi Chiem, the Vietnamese heroic mother in Phu Dien Ward, Nam Sach District. Her husband and the only son of her had died heroically in the war to protect the country. Now, she is 97 years old and lives alone. General Manager - Dr. Nguyen Xuan Thanh and all other staff of the Eastern medical equipment company are honored to show gratitude toward sacrifices, losses, and difficulties that the mother has to suffer. Concurrently, we are grateful to the merit of fallen heroes for the independence of the nation. We hope that the mothers will be happy and healthy so that we, your children living far away, have more chances to visit and take care of the mothers.